The world is full of useless novelty gifts that nobody wants to receive as a Christmas present, or on any other day of the year for that matter. However, one christmas gift that may initially seem to be a gag can actually make you look like a sophisticated entomologist. This product is called a “Termitat,” and you have never seen anything like it before, unless you have visited an entomology museum at some point in the past. This product is too sophisticated and probably too expensive to be found in your local Spencer’s Gifts, but if someone special to you has an undying love of termites, then you are in luck. The Termitat is a product that looks like two equally sized magnifying glasses with a disc-shaped piece of wood sandwiched in between, but upon closer inspection, termites can be seen tunneling through the piece of wood. Basically, the product is like a miniature termite exhibit that is often seen in wildlife and insect museums, except the Termitat is small enough to be placed on a person’s desk as a fun reminder that termites exist. The Termitat was developed by individuals who had years of experience in creating termite exhibits within museums. According to the product’s website, the Termitat is a “beautiful, safe, yet simple way to observe the intriguing world of termites up close.” The product website also makes clear that the dampwood termites contained within the glass space cannot escape, which is an understandable concern. The product contains a “colony” of dampwood termites that can reportedly survive for years while slowly feeding on the piece of wood encased within. Once the colony consumes the entire piece of wood, the product can be sent back to the manufacture in order to have a replacement piece of wood installed, but it is not clear if the manufacturer also replaces the termites. The product can even be purchased with an optional 200x “acrylic light-gathering magnifier” that allows a person to observe the internal bodily functions of their new termite pets. All the owner needs to do is periodically dribble a few drops of water into an opening in order to keep the termites hydrated. Now your relative who always dreamed of an easy way to view the innards of live termites can have their wish this Christmas. 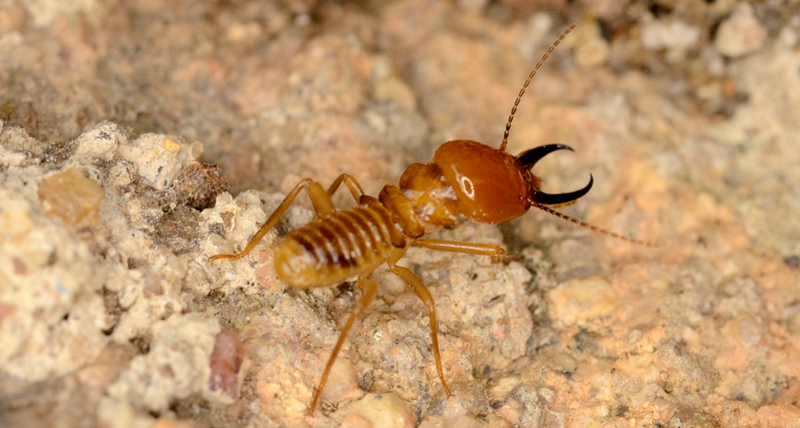 Would you worry about termites escaping into your home if you owned a Termitat?